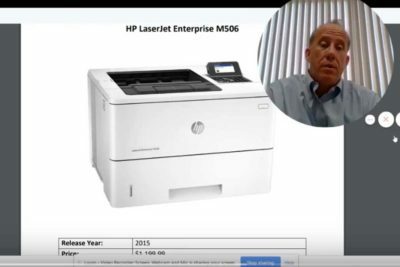 IOT Solutions shares their expertise in comparing Canon ImageRunner Advance 4245 series and HP LaserJet Enterprise M4555 MFP. 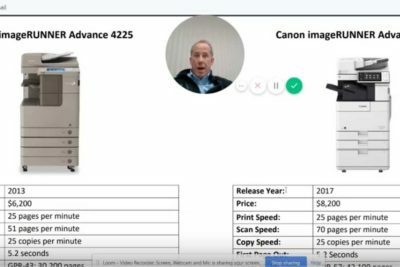 With this video, you will identify the difference with Canon ImageRunner Advance 4245, the 4545i, and the 4545i II as it also compares with HP LaserJet Enterprise M4555 MFP. All copier machines can be leased from IOT Solutions and also available under their service program. 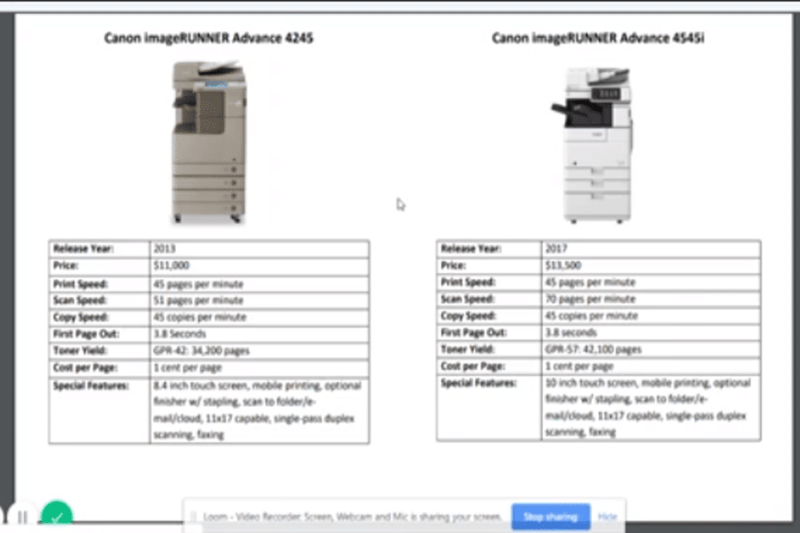 The difference between Canon ImageRunner Advance 4245, the 4545i, and the 4545i II. 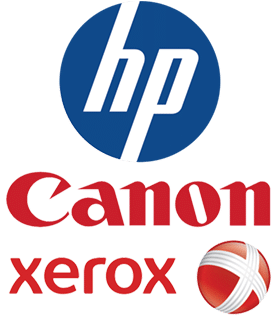 The difference between Canon ImageRunner Advance 4245 series from HP LaserJet Enterprise M4555 MFP. IOT Solutions offers all of these copiers and has service programs for all. 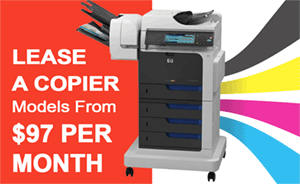 These machines can be leased for free if you buy a certain number of cartridges per month. 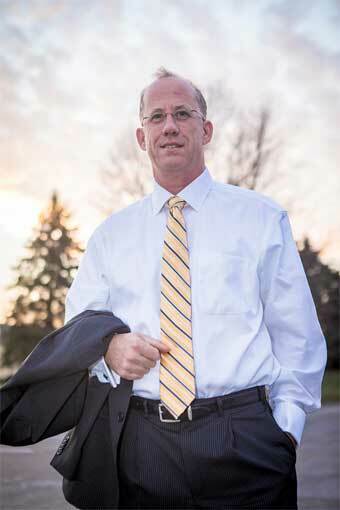 Hi, this is Bob Brennan. I’m with International Office Technologies. Today we’re going to be talking about three different devices that range in the 45 to 55 page per minute area as it relates to copiers, MFPs, or what have you. We’re going to start with the Canon line first. We’re going to get into these. The advanced series came out in 2013 and is currently still called the Canon ImageRunner Advance. It’s latest release is called the Advance II, so here we have the 4245, the 4545i, and the 4545i II. We’ll go through some of the features real quick here. The 4245 came out in 2013. Retails at 11,000 when it was new. The 4545i came out in 2017. It retailed for 13,500 new. Obviously, the 4545i II came out this year, 2018. It retails in that 13,500 to 14,500 range. It’s got more sophisticated software that is proprietary to Canon’s document management to scan the cloud, scan to network, and some of the secure features that Canon has. Now, mechanically these machines are very similar. 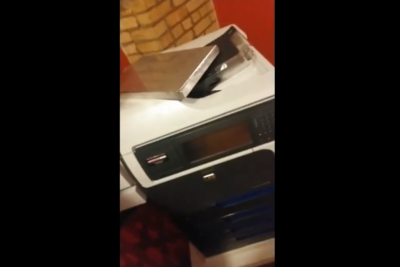 The print speed is 45 pages per minute. Scan speed’s a little bit slower on the older model at 51 pages a minute. However, on the 4545i it’s 70 pages a minute. Copy speeds are the same at 45. First page out’s the same. A little higher toner yield per toner cartridge. That’s about 30% more. Cost per page is about the same. Now, where they do differ is in the interface. The interface is a 10 inch screen as opposed to an eight inch screen. A little more user-friendly, if you will, a little more updated. A lot of the features are pretty much the same as it relates to what it can do. These used on the used market … On the used market the 4245 is probably around a 2,800 to $3,000 machine. The 4545i if you can find them used are probably in that 5-$6000 range, depending in all the features. The nice thing about Canons that differentiate from HPs is if you do a lot of booklets or finishing features. A lot of those features you can get for these machines, but they’re also pretty expensive themselves. 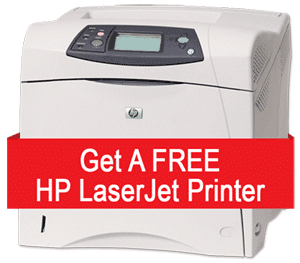 They can range anywhere from 500 to probably $3,000 as a feature that you can add on for more stacking or booklet finishing or three-hole punching, so some pretty nice features, but you’re going to pay for those. These are pretty robust machines. They do 11 by 17. That’s part of the reason why they’re a little more expensive than the HPs, so I’m going to jump into the HP here real quick, go through some of its features. That’s the M4555. It is a great machine. It does 55 pages per minute, so it’s a little bit faster than these Canons. The scan speed is 57 pages per minute black and white, and 42 color, so a little bit slower than the latest Canon, the 4545i. All the features are very similar in terms of the DPI that it can scan at and everything else. Now, this machine you could pick up from us I believe for right around 13 to $1,400. For most offices this will work just fine. It doesn’t have a lot of finishing features. It can staple, it has a minor stacking tray, if you will, on the side right here that you can see in the … This feature here. It’s got a lot of paper trays, which is helpful. It does not do 11 by 17 either scanning or output, so … Again, that’s going to hit a lot of the features that most people need in a typical office. Very rarely do you need 11 by 17. If you do, I just tell people outsource it, go to Kinko when you do need it. In the end, this will save you quite a bit of money. Up front it will save you thousands of dollars, and then down the road as far as service contracts these are really straightforward to work on. Very, very stripped down, easy machine to work on and get service for, if you will. 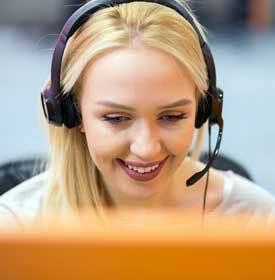 We offer service programs for this with our MPS toner. It’s right around a penny, 1.2, 1.1 cent a page or so for everything. You can also get this machine for free if you buy I believe it’s six cartridges. Again, that nets out to around $1,400. 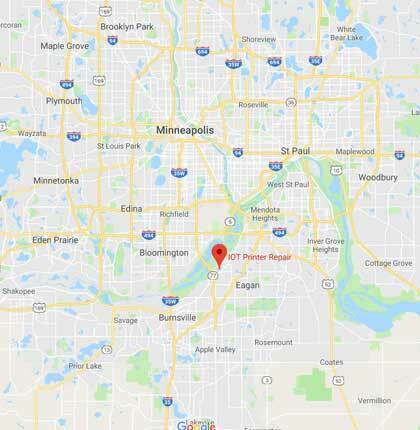 If you have any questions feel free to give Courtney or Sarah a call at area code 651-7 … I’m sorry, area code 651-452-5630. Thanks.